Have you ever looked at a celebrity figure and thought about how they got their great smile? These superstars may not have been born with perfect teeth so they used cosmetic dentistry to enhance their smile. Cosmetic dentistry can help you gain whiter, straighter teeth and a more confident smile. 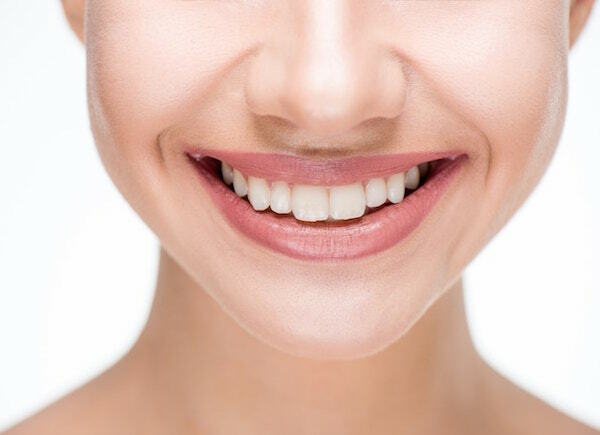 Here are just a few of the cosmetic dentistry treatments available that can help you achieve a Beverly Hills celebrity smile. Dental bonding can treat a wide array of dental imperfections including chips and cracks in the teeth, improving the shape of the teeth and closing gaps between them. Bonding can also be used to brighten discolored teeth or to make short teeth look longer. The bonding material is tooth colored and bonds to the teeth by using a special ultraviolet light. No anesthetic is usually needed unless the bonding is being used to fill a decayed tooth. Since dental bonding has the least alteration to the natural tooth, it is typically one of the least expensive cosmetic dental procedures. 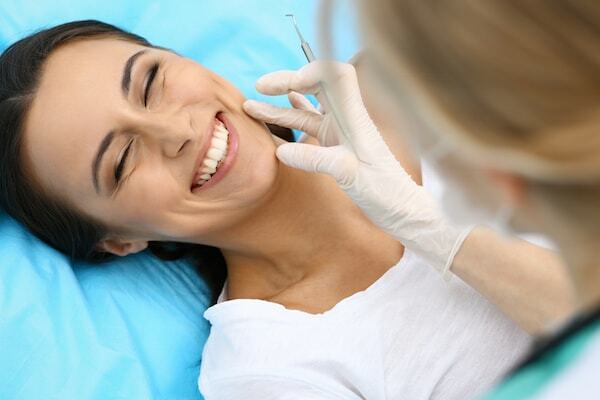 A portion of the treatment cost may be covered by dental insurance if it is used to repair chipped or damaged teeth. As we age, our teeth become stained or discolored. Discoloration can occur when the enamel or top layer of the tooth becomes thinner and allows the yellowish tone of the dentin to show through. Surface stains can be caused by various foods and beverages such as red wines, coffee, tea, berries and soy. Stains are also caused by lifestyle habits including tobacco products, alcohol and poor dental hygiene. 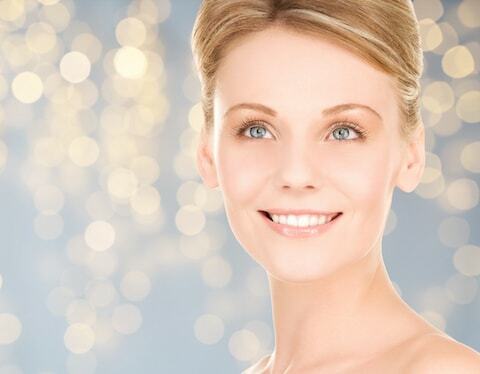 Teeth whitening treatments can be performed at home or in the office. However, the solution used to whiten the teeth for home treatments is not as effective as office treatments so they require more treatments over a longer period of time. In-office treatments can be done in about 30 minutes, using a special light to activate the solution, and can provide up to 8 shades lighter. Plus, the dentist can ensure that the gums and soft tissues are properly protected from the solution so there is less risk of irritation and tooth sensitivity. Veneers can be used to completely transform a smile by changing the size, shape, shade or symmetry of the front teeth. They are created in a lab and made of porcelain which allows them to appear as natural enamel. Veneers are wafer-thin so they do not appear bulky when they are bonded to the tooth. Since veneers are created by making an impression of your teeth and constructing the veneers in a lab, they can be a bit pricey. However, they can certainly transform your teeth and give you that celebrity smile you desire. When you are missing a tooth, or several teeth, it can be hard to feel confident enough to smile. A lack of confidence can impact your social life, relationships and professional outlook. Missing teeth can make it hard to speak properly, chew and gain proper nutrition. Furthermore, missing teeth can lead to other health related issues which is why certain treatments such as dental bridges and implants may be partly covered by dental insurance. Dental bridges use the adjacent teeth and a pontic, or false tooth, to bridge the gap between one or more missing teeth. Dental bridges can be permanently bonded or removable. Implants are durable and permanently secured into the gap by using a small rod infused into the jawbone with a realistic pontic secured to the rod. Once they are placed, dental implants look and behave like your own natural teeth. Is a Smile Makeover Right for You?